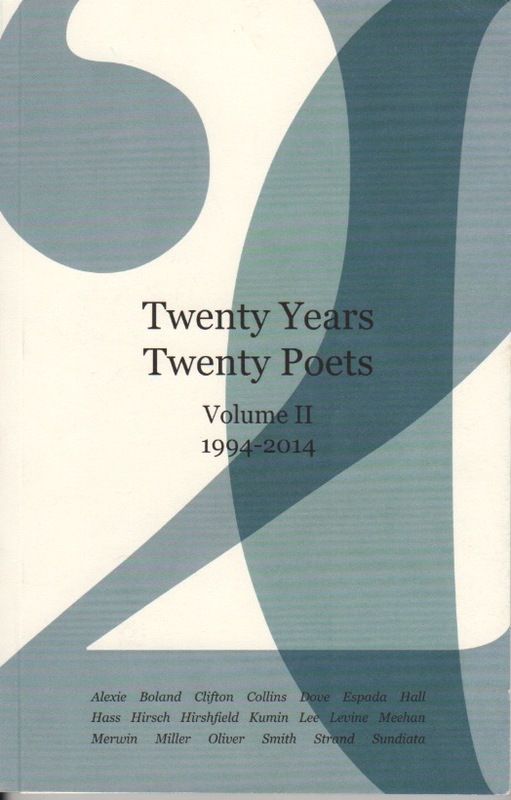 Celebrate the treasure that is HoCoPoLitSo with Twenty Years, TwentyPoets, Volume II, now available for sale online! Marking its 4oth year of producing live literary events for the community, The Howard County Poetry & Literature Society has created the anthology Twenty Years, Twenty Poets, Volume II. The work contains a selection of poetry from the variety of writers who have visited Howard County, Maryland, HoCoPoLitSo’s home, between 1994 and 2014. It’s a quite a literary keepsake. The volume contains a single poem from each of the twenty poets selected as well as a remembrance of each visit adorned with a photo of the writer. Distinguished authors such as Patricia Smith, Edward Hirsch, Mary Oliver, Donald Hall, Paula Meehan, Billy Collins, and E. Ethelbert Miller have inscribed their words on the hearts of many Howard County residents over the years. Their poems are HoCoPoLitSo’s history and all of this is detailed in Twenty Years, Twenty Poets, Volume II. Click the button below to purchase a copy of Twenty Years, Twenty Poets, Volume II. The price is $25.00 (including shipping and handling).